Why not make fun of a person when they are down? Why not revert back to a Southern racist terms in this day and age? Anything for laugh isn’t always funny…or right….. There was an eyebrow-raising exchange Tuesday between radio host Rush Limbaugh and a caller in which Limbaugh makes a racist comment about Gov. Paterson. Leaving aside the appropriateness issue for a moment, the caller’s premise that sparked Limbaugh’s comment is flat-out wrong. Paterson does NOT have the power to appoint a replacement for former Rep. Eric Massa. His power is limited to calling a special election to fill the seat Massa vacated in NY-29 after ticklegate. 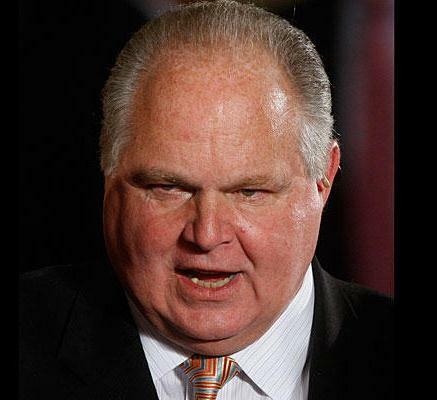 RUSH LIMBAUGH: Wait a minute. CALLER: …will exact some revenge on Obama, Emanuel, Cuomo, the whole Democratic gulag, by appointing a Republican or, at the very least, a DINO – a Democrat in name only? LIMBAUGH: Are you sure that Paterson appoints or is there a special election? CALLER: I am reasonably sure that Paterson will be appointing the replacement, assuming that he, you know, doesn’t resign in the next 60 or 90 days. LIMBAUGH: …who gets to appoint whoever gets to take Massa’s place. So, for the first time in his life, Paterson’s gonna be a massa. Interesting, interesting. The conservative blowhard is resting in the hospital instead of the beach and will be back on the airwaves soon……. Rapper’s and Conservative Talk Show hosts….Two of a kind? As you read the piece you begin smile and shake your head……here’s the author’s main points…. on Haters and Feuds…..Rapper’s thrive on feuds…..well, true that David…..50 Cent/Ja Rule, Lil’ Kim/Foxy Brown……Jay Z/Nas…….yep, and well ALL know this does sell records right? !…..on the other side we have Limbaugh/O’Reilly…….Levin/O’Reilly…..and Oberman/O’Reilly……..and of course Sean Hannity who’ll pick a fight with anybody………and yes ALL of these Haters and Feuders cry all the way to the bank……..
On Verbal Skills.…..All of the above mentioned people can ‘throw the bull’……in a song on stage, or in the studio……in a radio station, or a cable news channel..it doesn’t matter……spontaneously and relentlessly……..he, he,… Segal ‘s line is priceless…’these people share the same DNA’……. And they all get over…. Rapper's and Conservative Talk Show hosts….Two of a kind?